A blog is a great tool. Anyone who feels like they have something to say can start one, and some of the best blogs generate millions of views and visitors per month, offering significant opportunities for monetization. The thing most people don’t tell new bloggers is that no matter how good your content is, it’s only valuable if it is read by people who can take action based on what they are reading. And for the blogger, the action could be liking and sharing the post, clicking on an ad, or purchasing value-added content they discovered as part of the blog reading experience. You can have amazing blog posts, but if nobody sees them, what’s the point. There are various ways to generate blog traffic. Start with a proper SEO structure, make sure your website is mobile friendly, and write content that is geared to your audience. But if you really want to see your blog traffic grow, you’ll need to learn to generate blog traffic with Social Media. The structure of your overall content strategy can inform whether or not your blog content is utilized as fully as possible. Sounds fancy, right? It’s actually quite simple. By pushing out your content to multiple social media platforms, you’re amplifying the impact and reach simply by putting the same content in different places. Just like all your friends don’t like exactly the same type of cars, your audience will all engage with content in different ways. Some heavy Facebook users flat refuse to get on Twitter, Instagram users may not use either. However, people that are on either platform are likely to click through and read an interesting piece of content no matter where it appears–and that’s where your content strategy comes into play to drive your website traffic. You need to put your content where it will be more likely to be read, but you need to entice them, let’s dive deep into how you can achieve this. Use vibrant and impactful images to quickly grab the user’s attention. The visual doesn’t have to be complicated; depending on your message this could be anything from a snap of your latte with a cool swirl to stock photography of a gorgeous sunrise. Most of the time, the simplest images work best. Look at the example above. While all the images are fine, Riderflex’s image is the most effective. It immediately tells you what you get if you click through. It is also on brand, easy to read, and quite eye-catching. Different types of imagery work better on different platforms. Instagram is more aspirational. Twitter is better for direct news-y type of images, and Pinterest is great for informational how-to type of content. Depending on your market, your content and your business goals, you’ll want to delve more closely into which content platforms best support your message and give you an opportunity to raise overall awareness of your blog with an eye towards driving ongoing website traffic. Bloggers report up to 200% increased engagement from tweets with visual content versus simple text-based tweets, with Facebook boasting about a 40% improvement and LinkedIn images garnering nearly 100% more comments than posts with no image. Use a social media scheduling tool like Socialdraft. This will allow you to control how often and when your content publishes on different platforms. It will also help you to control the messaging that you use to drive people to click through to your blog. Finding a group of like-minded blogging friends will allow you to intensify your SEO efforts by generating a measure of buzz around your content. Don’t be afraid to ask people to share your content, and always be generous with your own time in the blogging community. Sharing content from others and judicious use of @mentions and comments can go a long way towards building interest in your future content and support from fellow bloggers. The simplicity of sharing and scheduling tools might tempt you to just repost the exact same content leading to your posts on different social media platforms, or even to post the same content more than once. This is perfectly ok…as long as you consider a few things. First, change up the dates and times that your content comes out. The person who is on Twitter at 9 a.m. on a Monday probably won’t be on there at 7 pm the next night. We usually recommend that you space out content at least a week and a day on Twitter, and much longer on Facebook (maybe about a month). For Instagram, it’s all about one-time original content. Second, change things up a bit. Alter your images, change up the write-up and keep things exciting. The last thing you need to do is to check your analytics to see what is working and what is not. This way, you can take your learnings from this post and apply it to the next. Things to look out for (you’ll need either Google Analytics or a URL shortener that gives you analytics like bit.ly). Post Activity: Are you getting more actions and engagements on your posts as you share to social? Negative Feedback: check your web and social media mentions. Is the chatter positive or negative? This will let you know if you need to change the tone of voice in your blog posts as well as change the way you are distributing them in social media. Schedule posts to Facebook pages, LinkedIn pages, Pinterest boards, Twitter and Instagram accounts. Schedule single or recurring posts. Schedule reposts from Instagram to your other social networks. Schedule in bulk via CSV. The best part is that Socialdraft has plans for everyone. We even have a Free Forever plan…which is…free forever. Take Socialdraft for a risk-free trial today. You have been working hard and finally, you feel like you have a strong social strategy. You’re feeling ready to work on interactions, but how do you decide who to interact with? The answer is customers and influencers. You know who your customers are, but now you’re asking yourself: what exactly is an influencer? Today we will discuss what makes a real influencer as well as how to identify social influencers so that your time and money spent on influencer campaigns are well spent. An Influencer is someone who is considered an authority in a particular topic. They talk (or tweet, or post) and people listen…and click…and buy. They are trusted people on social media. Influencers can spread you message to a very targeted audience. 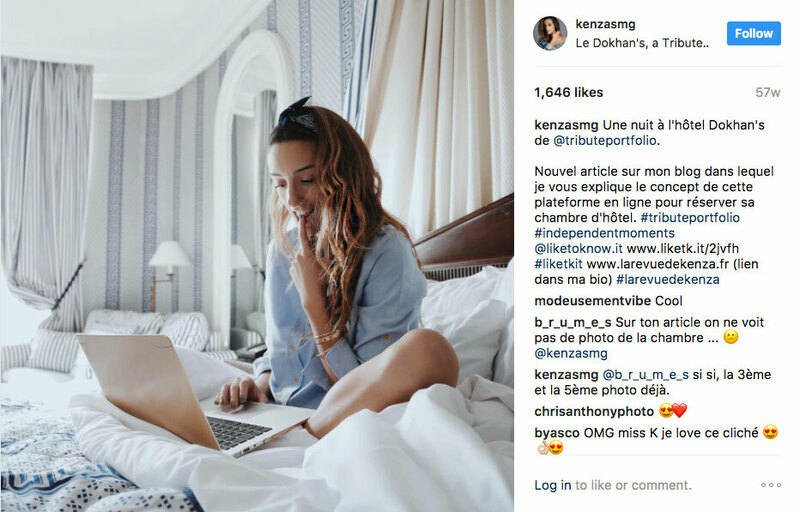 What exactly is an Influencer and how do you approach them? An Influencer is a person who has a significant impact on a niche area such as organic foods, dating services, medical devices, and revolutionary software. An Influencer may also be associated with consumer groups, or industry and trade associations. An influencer can be, but is not necessarily someone with a large social media following. That can easily be faked. An influencer has a targeted, engaged audience that converts. One common misconception regarding influencers is that the more followers they have, the more influence they wield. What really matters is an influencer’s level of engagement, and Domain Authority – or how well a website ranks on search engines. Someone with 1 million followers or fans may seem influential, but if those followers are fake or not engaged and they do not convert, they aren’t truly influencers. You are better off working with someone with a following of 1-10k followers who actually convert. You need to look at the entire package. Social media reach, website traffic, and most importantly – engagement and conversions. The same principle applies to Twitter-Instagram-Facebook — it’s not the number of followers an Influencer has but rather the highest engagement rates an account has that will have the most influence on amplifying your content and increasing your chances of achieving a call to action (ROI). Do they reply to comments? What is their engagement rate? What social networks do they get the most engagement in? Do people ask them questions? How many retweets are they getting & who is retweeting them? What is their website traffic & where is their audience? What is their average time on page? When focusing on choosing an Influencer, make sure they are enthusiastic about your area of interest, and above all, don’t contact an Influencer without first attempting to establish a relationship by following them, helping them and sharing their content. Social media is a give and take. If you want to work with an influencer, show them that you want to build a mutually beneficial relationship. This is just like real life. You don’t just walk up to someone and ask for a favor. You first introduce yourself, make small chat, maybe do them a favor and then you can ask for a partnership. The functionalities of these tools are incredibly simplified to fit just this topic and are a good place to get started, but remember to ask for analytics from their social media accounts so you can be certain they don’t have inflated numbers. 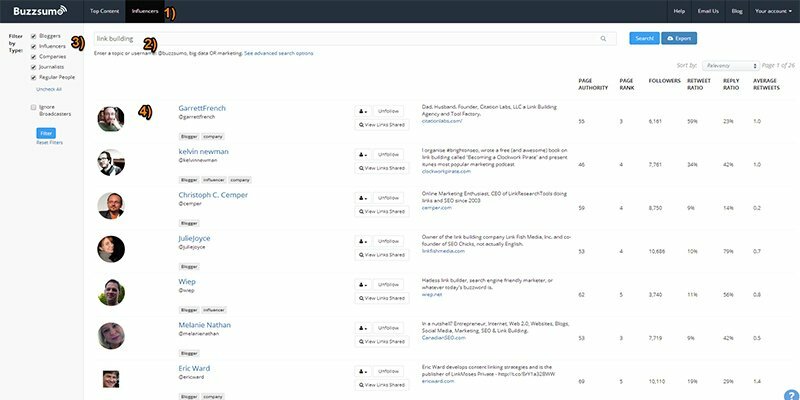 Buzzsumo allows you to search influencers on Twitter, filter those results, and export them as CVS or XLS so you can grind and get some more work on them. 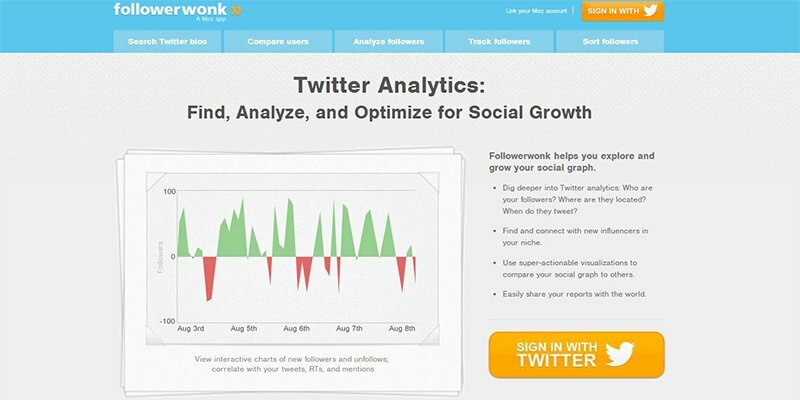 Followerwonk comes to you from the people at Moz (an awesome resource). The search engine allows you to identify influencers and sort them. Keyhole works alongside hashtags. It helps you to identify influencers as related to hashtags. You can see top conversations and content. Traackr is a premium category of service that is billed as an influencer marketing and analytics platform, Traackr helps you discover influencers, get social media insights, and figure out how best to connect. 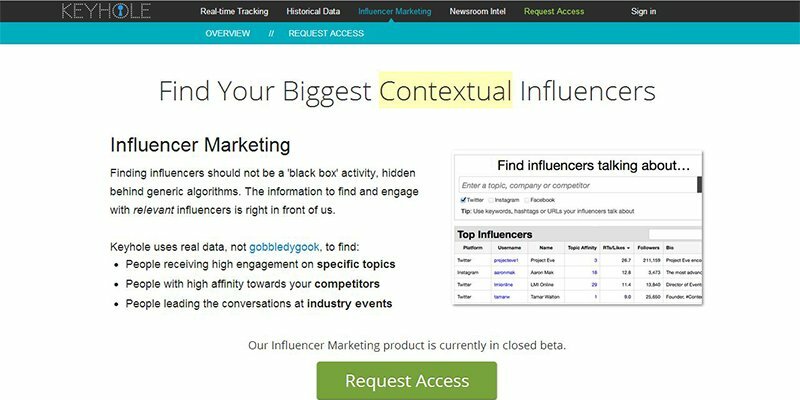 Features include an influencer search engine, profiles, dynamic lists, share of voice reporting, sentiment analysis, and trending content. PR, communications, and marketing pros use this service. 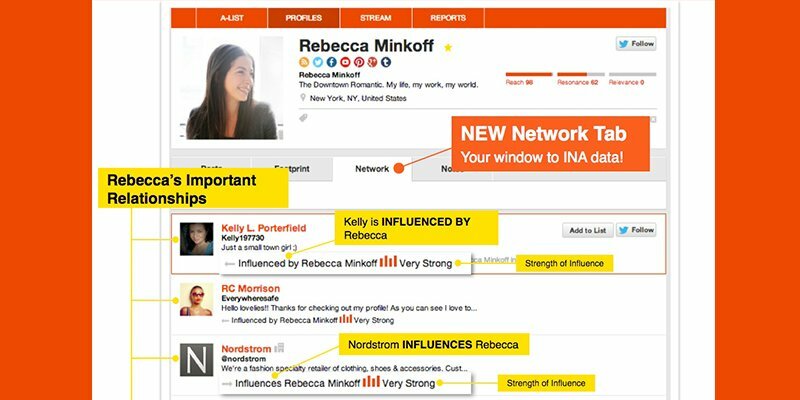 Kred: A product of PeopleBrowsr, Kred is a paid influencer measurement tool that promises to help marketers identify, prioritize, and engage influencers. It offers a rewards service that will connect marketers with influencers, as well as audience engagement analysis, influencer leader boards, and email marketing. KredStory is a consumer application for curating and sharing on social networks and analyzing your own social media activities; it also offers each user a Kred score. Once you’ve selected your tool (or tools), you can get down to the nitty-gritty. 1. Identify the influencers that have the biggest reach (most followers). 2. Compare: compare influencers with the most engaged followers – do any of these overlap? Are any of these already in your social circles? 3. Identify those influencers that are not currently interacting with your brand – this is where your opportunity lies. Now you have your targets and you need to get to work. it’s time to work on your message, strategy, ROI measurement, and brand KPI. Take time to review the content that your target influencers respond to, what time gets you the most interaction and what topics pique their interest. People tend to like gifts and bribes. Sorry to put it so bluntly, but if they get a little something from you they will be more likely to interact and amplify your message. I’m not talking about dollar bribes or gifting bribes. People on social media are looking to get the same exact thing you are: social influence. Engage with their posts, amplify their message, and take part in conversations to increase the chance that they will reciprocate. Create lists when possible and add these influencers to your content calendars. Instead of “gimme, gimme, gimme” it’s “give, give, give”. Yes, I know it sounds redundant to the above paragraph, but content, access, engagement will get you noticed and will get you love. Make sure to post unique, fun, relatable, shareable content that serves your community (and your target community of influencers). Make it easy for them to share your content. This is easy to do with Socialdraft app where we help you find image content and we offer easy scheduling options via CSV and regular posting. The more you post, the more influential you will become. Social media does not only exists on social. Don’t be afraid to reach out to people via email, linkedIn, etc in order to make connections. Are you a winery looking to grow their reach, message your sales reps and ask them to share your social stats with their clients…but make a promise (and follow through) on reciprocal likes, follows, and content amplification. Maybe you’re a restaurant in town. Stop by the jewelry shop next door. Offer to create a discount for anyone that shows a receipt from their shop on the same day. Then collaborate to blast this out on social media. you will both benefit. The opportunities are endless – it just takes a little creativity and reaching out. 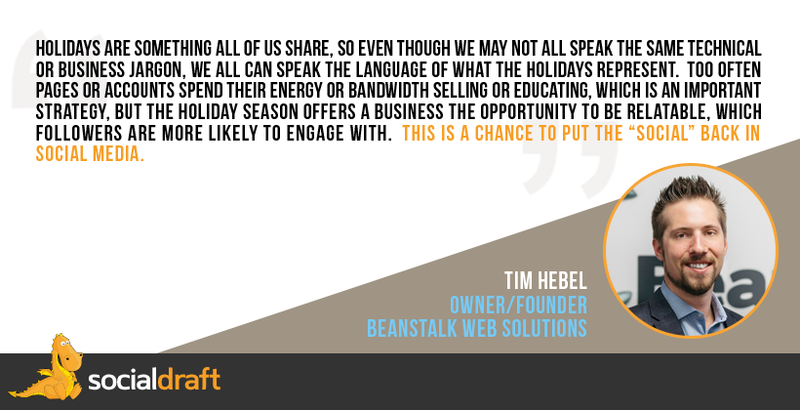 The winter holiday season is probably the most important to most businesses. It is the time when consumer spending will be at its highest, and the last chance brands and businesses have to make their quotas. That means that having a strong Social Media strategy is pivotal, especially on Instagram. We’ll give you some great ideas for marketing your brand or business during the season but before we get to that, make sure to copy and save these Winter Break and Winter Holiday Hashtags. They will help you to get more visibility on social media and increase your chances of reaching your marketing and sales goals. Use them by clicking on the “copy” button right below the hashtags via your iPhone, Android, iPad or PC. Don’t wait until November to have your holiday planned out. You need to start thinking about this way before Black Friday. This way you’re not running around like a chicken without a head. Don’t expect Social Media to do all your selling for you. Begin to plan out newsletters, mailers, blogs, and ads as well as social media posts. An all-encompassing strategy has a much better chance to get you the results you want. Check out this article for a list of ideas on how to promote your social media offline. Think about the offers you can provide and when you can provide them. You can kick-start your holiday selling by offering super discounts now. Black Friday before Black Friday. Create some add-on goodies. For example, each time a customer shops with you before the holiday season and shares their purchase to social media, they earn points towards a super special free item (think of this like the free Turkey supermarkets give over the holidays). Host an event to kick off the season. Maybe an Instagram Fan Only wine tasting at your restaurant. Or a free upgrade on a manicure to a customer who posts about it to their Instagram account. Keep in mind it’s all about thinking outside the box…besides, when they come in for that mani, they’ll probably get a pedicure as well. These are just a few ideas to get you started. Happy Holidays. Swanky Monkey Garden, a popular nightlife spot understands the power of winter hashtags. Imagine yourself checking out Instagram on a cold winter day and seeing this delicious treat. Pretty enticing, right? Beer Snack Almanac understands how to use location hashtags along with winter break hashtags. During their NYC visit, they used hyper-local hashtags such as #newforkcity #nycfood #nycdining #grubshotsnyc #nybeer #winternyc & #bestbrewsofnyc. This will make it easier for them to be found by a target local audience and those who are interested in NYC and as such, they will increase their chances of converting them. Lina is a photographer who uses Instagram to drive traffic to her blog. She is very smart about winter hashtag use. Notice how she includes both winter hashtags as well as the hashtags for the brands of products that are featured in her image. It’s a great way to come up when people search say #UrbanOutfitters on Instagram. Famed chocolatier, Godiva, is smart about pushing out their brand. Note how they use both #Godiva and #GodivaChocolate on their posts. It both teaches their audience to use the tag AND allows them control over what comes up on search. Note how while Godiva has only created around 1,000 images, there are well over one million that come up on search. These features are available along with all the other social media tools that come with Socialdraft. If you’d like to take Socialdraft for a risk-free trial, sign up now. New Year’s Eve and New Year’s are HUGE celebration days throughout the world. The time period right before the New Year is critical to most businesses. As a rule, consumers are broke after the winter holidays and curb their spending after January 1st. This means that your last chance to capture big dollars before tax season is the New Year, right before your customers make resolutions about how they are going to save money, lose weight (so no more dinners out), and spend more time with loved ones. That’s why you need to make a strong impression before the New Year. 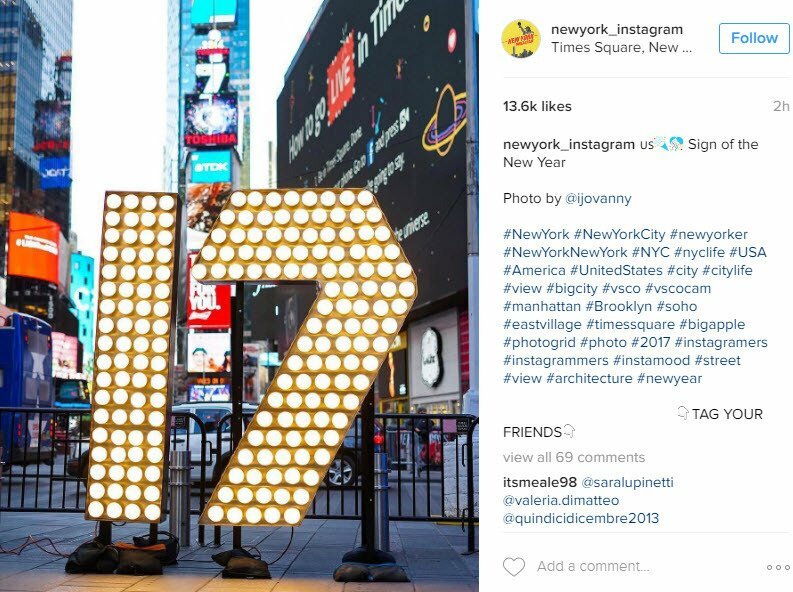 We’ve put together a list of New Year Hashtags to help you get the most out of your Instagram posts. 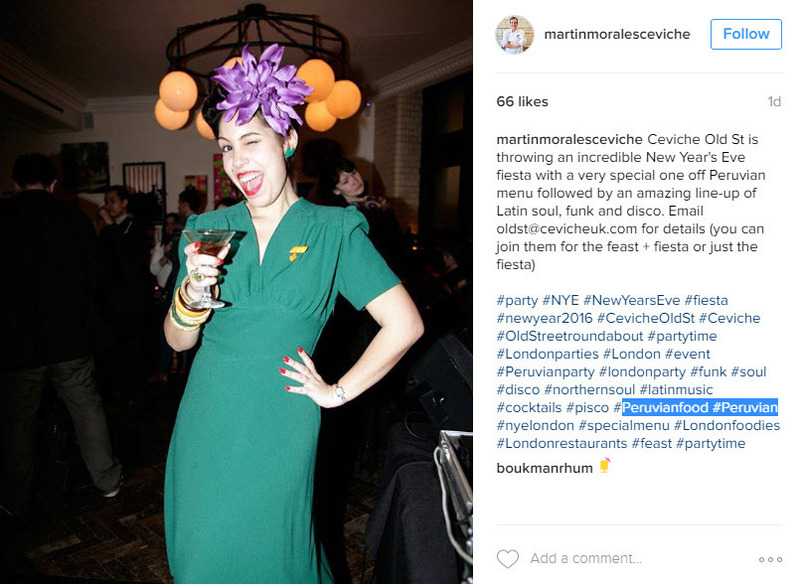 Copy them and save them so you can use them, then read the rest of this post for tips on how to use these hashtags to get the most out of your Instagram New Year’s marketing. New Year’s Eve is one of the most awaited times of the year. Especially when you or your business is located in one of the large metropolitan cities like NYC, Paris, or London. But no matter where you are, the New Year holiday will result in record-breaking social media posts AND sales. That means your business, be it a brand, a restaurant, a gym, a hairdresser, or any other sort of business needs to be a part of this conversation in order to be relevant in the coming year. This also means that you must stand out above the chatter. The NewYork_Instagram account is smart. Their core audience is made up of New Yorkers and tourists. Because of this, they use tons of location hashtags so that people who are browsing Instagram to see what’s going on in NYC can easily find them. Lacquered Bits is a smart beauty blogger. 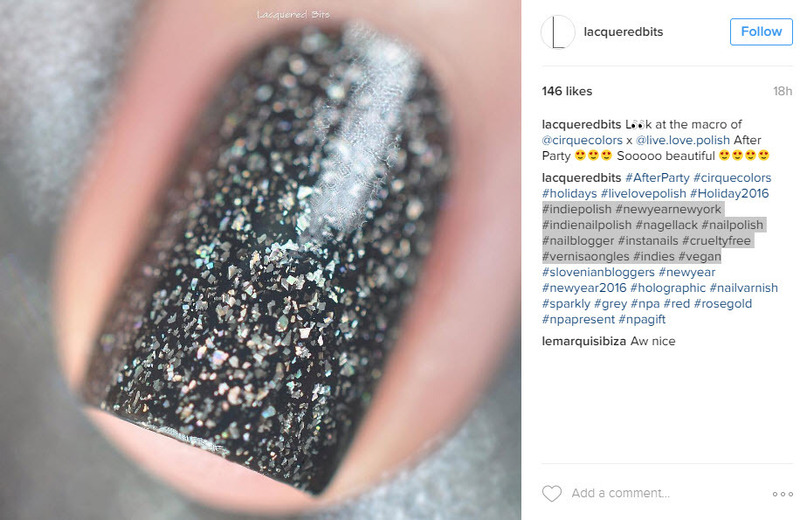 This gorgeous Instagram post has the opportunity to be discovered by people who are searching for both New Years and nail related hashtags because they used the following tags related to the nail industry: #livelovepolish #indiepolish #indienailpolish #nagellack #nailpolish #nailblogger #instanails #crueltyfree #vernisaongles #newyear #nailvarnish. You should follow their lead and include a set of hashtags related to your industry, brand, or business. This can be a real life party (great for local businesses) or virtual. Ask your community to share a picture on social media. If you are a product, ask them to include it in the pic. If you’re more of a brand, ask them to tag you in the shot. The reward can be a freebie or discount in the coming year. The contest should be related to your brand or business. The prize should be given out on New Year’s Eve or New Year’s day and shared to social media to build excitement. Dunkin’ Donuts did this incredibly well. They asked their community to take pictures and videos wishing friends and family a happy new year. 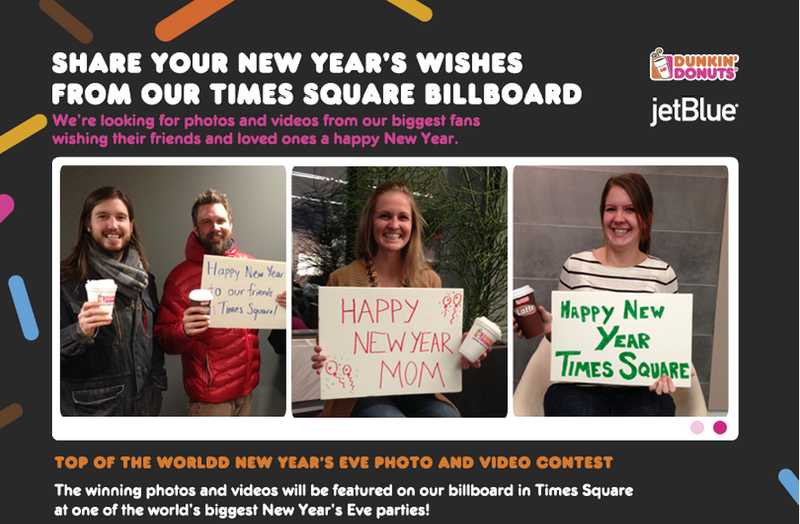 The chosen winners would have their pic shown on a billboard on Times Square during the New Year Celebration. Pretty smart, right? While you may not be able to afford this kind of contest, you can come up with similar ideas that don’t break the bank. This should come as no surprise. Your posts starting right after Christmas and Hanukkah should have everything to do with the New Year. Pick a palette, a constant font and work that New Year Magic until the final day. Share New Year’s tips, events, and memes. You’ve been meaning to get on Snapchat, but you haven’t yet. Create a countdown calendar on other social media accounts to build excitement over your new endeavor. Invite fans and community to join you in your new adventure. All in all, the best thing you can do is get your users involved. This way you can keep them engaged and keep your brand and business fresh in their minds. It’s not enough to just post a beautiful picture with a great write up and perfect hashtags. These are just the basics for a solid Instagram strategy. There are a few more things you need to do in order to get the most out of your Instagram posts. Be Consistent: First, you need to publish on a consistent basis, daily is optimal, but if you can’t publish daily – then try to do so every other day. This will make it so you always have a chance to be seen by your audience. It will also help you with beating the Instagram feed algorithm so you don’t get pushed down the feed. Engage: Instagram is a pull type of system. You need to get out there and find opportunities. How do you do this? Search for people creating content around your industry hashtags. Then engage them by following them, liking their posts (and if you really want to get an ROI from your efforts – comment on their posts). You will see almost immediately that your account will grow and your influence will increase. Manage all your other social media! Just watch the video above to see how it works and take us for a risk-free trial of our social media calendar tool. Thanksgiving may be the ultimate family holiday. It’s also a wonderful holiday for sports fanatics, but the ones who should rejoice at the arrival of this holiday of gluttony are social media marketers. The holiday buying season officially begins on Black Friday, the day after Thanksgiving, but you need to start thinking about how to market the holiday a long time before that. Before we give you some awesome Thanksgiving marketing tips, make sure to copy and save these Thanksgiving hashtags, they have been optimized to get you the most visibility on social media. Use this list of Instagram Thanksgiving Hashtags by clicking on “copy” below the hashtags on your iPhone, Android, iPad or PC. Since your potential customers are going to be checking out coupons and Black Friday deals on Twitter, searching for the best Turkey recipe on Pinterest, and posting pictures of the family to Facebook, you need to get them engaged with your brand if you want to convert them into paying customers. Check out the images above. Pretty telling, right? 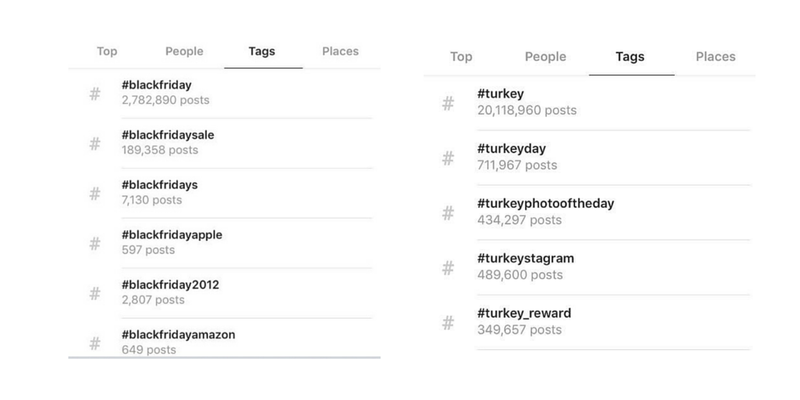 On Instagram alone, over 10 million images used Thanksgiving related words on Thanksgiving day and over 200 pictures were posted per second. This means that as people celebrate the Thanksgiving holiday you need to engage them in real time to capture their attention. On top of that, unlike the football commercials, on social media, you have the chance to engage your audience. This is powerful. This is not just powerful for supermarkets selling turkeys, or travel companies getting families to reunite. This is for all companies since Thanksgiving marks the start of the winter holiday season. Use social media to let your audience what you and your team are thankful for. Use a simple hashtag such as this and encourage them to do the same. Collaborate with a non-profit to do something good. Encourage your community to take part. Maybe it’s a coat drive, or maybe you give 10% of your profits from Black Friday sales to a charity. Monitor conversations around events like this so you can engage your audience. If you are a local business, monitor local events like this. If people on social media are discussing them, there is a good chance they are your potential customers. This is an easy way to find geo-targeted leads. It also works for brands like the TODAY Show. Notice how they promote their interview with the NYPD Chief of Department. They are still targeting a local audience although they are a much larger brand. This is your chance. Share special deals that are exclusive to your social audience. Make them feel special. Your customers are probably traveling for the holidays. 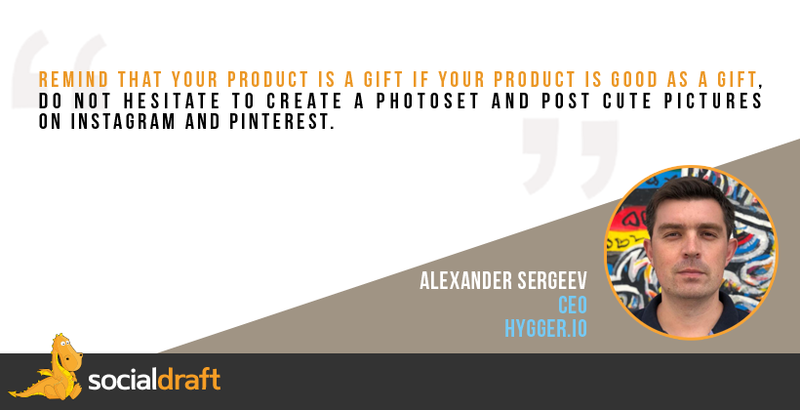 Ask them to share a picture of them, their family, and your product. Tie this into a contest where the image with most likes gets something really special (maybe one of your top end products). Everyone else who participates gets a 20% off coupon. You can’t expect to post only on major holidays and get a return on your investment. With Instagram, you need to be consistent in posting and engaging. That means you need a tool to help you and your team with the daily tasks that are required for Instagram success. Black Friday is the start of the big retail season. 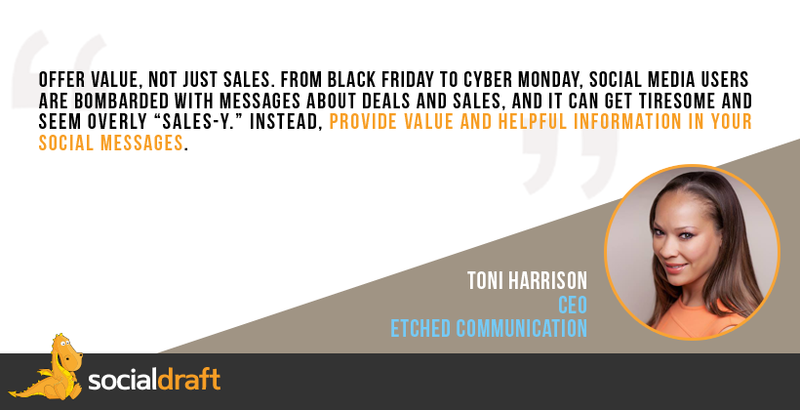 In truth, the season starts way before that, and if you are a retailer or small business marketing for Black Friday you need to start thinking about your strategy way before that. Today we’ll discuss how to use Black Friday hashtags on Social Media (particularly Instagram) to build excitement and get people to buy your products. But, before we get to that, take a few seconds to copy and save the following Black Friday hashtags. They are optimized to get you the most eyeballs on your Instagram posts. Let’s discuss how to use your hashtags, then we can get into some really cool ideas for you to use along with your Black Friday hashtags on your Instagram posts. This is a basic for social media, but something worth a reminder. Make sure you use your social networks to let potential buyers know about deals, hours, etc. Go a step further. Tease your followers a bit. Macy’s did this in 2014. They started revealing one of their best deals on a daily basis on Instagram. Great way to get your customers to come back to your account, engage them, and re-market them. In this case, Macy’s kept things simple with one single hashtag, #BlackFriday. Use an app like PicFlow, Flipagram, or Slidemaker to create a video flipboook of the items that are on deal, something like a 10 for $10 with the discount code at the end so that you can get your customers excited about those #blackfriday deals. Tell your customers to follow you on Instagram and DM you for special deals and coupons for the Black Friday holiday. Ask followers to tag a friend to get a DM with a special discount code. This will make it so their friends come in and tag their friends allowing you to capture more leads. One winner, every Friday! Post on Instagram or Twitter with the hashtag #Cavenders for a chance to win a $25 gift card. Congratulations to the first winners of our #HashtagGivewaway, @jilly928 and @joshvorhies! Ask your community to post a photo the week before Black Friday and to add your custom Black Friday Hashtag to it. Then you can pick one or multiple winners from the submissions. Make the prize something exciting and worthwhile so you get good participation. Each picture is a proof of purchase & a free piece of advertising. Now that you have your Black Friday Hashtags, you need to take care of a few more things. Instagram recently implemented an algorithm that penalizes accounts that aren’t consistent and don’t get too much engagement. Socialdraft is an Instagram tool you can use to help you with getting an ROI from your Instagram account. This may sound counter intuitive, but some brands and businesses will be able to pull this off. There tends to be some fatigue around Black Friday. People do get tired of all commercialized nature of the Black Friday holiday. Businesses who take the time to listen to their community and engage them in real-time chat have a lot to gain in the long run. This is something you should do on a regular basis. Just search a hashtag that is related to your business and like the posts & follow the content creator. This acts as a reverse link. They’ll want to check out who you are and follow you. You need to listen. It is probably the most important skill of Social Media. So take a few minutes per day to check out what is being said about your business on Social Media. These opportunities could not come around again, so you want to be especially vigilant around the holiday. You can use a tool like Socialdraft to stay abreast of your business mentions. If someone mentions you or the products you are selling, make sure to take time to like, comment, and engage. You show that your brand is human and that it cares. Before Socialdraft became a social media scheduling calendar tool for teams, we were a ragtag bunch doing social media for clients (we still offer managed services to our enterprise clients). We started small with local clients like restaurants and ended up handling multinational clients and governmental entities. It was pretty cool…most of the time. From time to time an issue would arise with a client. Of course, we wanted them happy so we did what we could, sometimes this worked for us, other times it turned out to be a mistake. So today, we want you to learn from our mistakes and give you our tips on how to deal with common client issues and complaints so that you can reduce churn and have a much happier work experience. Preventing these issues is usually the best thing to do. The majority of times, we found that issues happen because the client is not educated in Social Media. No, they are not stupid, it’s just that the nature of social changes all the time. So, in order to educate your clients, you are going to set up a drip email campaign. The first one is to let them know you are there if they have questions. Then every week, you’ll send an email with common questions about the industry, or questions that former or current clients have already asked. Chances are if current clients asked, new clients will ask too. 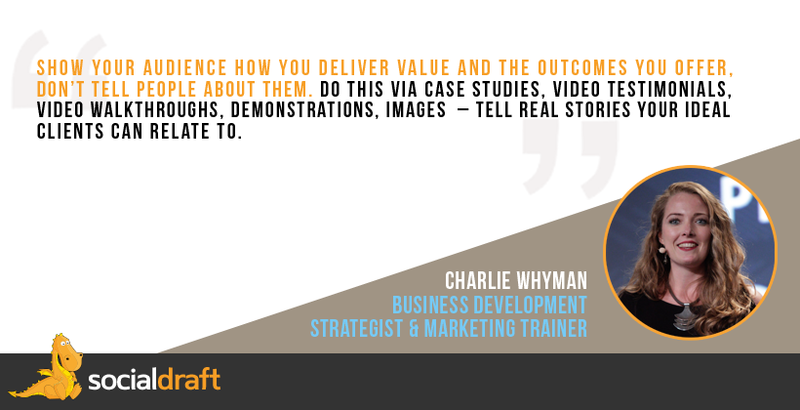 This will keep you in your client’s minds and head them off at the pass with common issues. The second reason is that they may not be aware of all the work you are doing. So, each week you will send a growth report (if you use Socialdraft, you can pull these as often as you want and there’s no extra charge) and include an email that outlines what you have done for the week as well as any milestones you’ve hit. For example, when you reach your first 1,000 targeted Instagram followers, or when you make a connection with a powerful industry blogger on Twitter. Anything that you achieve needs to be included in this email. You need to boast about all the amazing things you are doing for them. Don’t be shy on this respect. Basically, if your client brings on someone new, you’ll have to defend your ideas more, you’ll have to worry that they may steal or take credit for your ideas, and they may want to slowly steal your business. If you are smart, you can spin all this in your favor. The first thing you need to do is build a solid relationship with people on all teams. You need to show that you are irreplaceable and that you can become a partner to outside consultants. Craft a report for your client to show them everything that you have achieved before the arrival of the new team member or consultant. You want to do this so there is a baseline of where you are at. Secondly, don’t be combative. This will not help. Introduce yourself to the new parties, be friendly, and be open about having communications with them. Let it be known that you are ready to work with them so that your client can get the best of both worlds. You’re building a trust relationship between all three parties. Then discuss with your client exactly what the responsibilities of each party are. Tell them that you just want to have everything outlined so that you don’t step on any toes and so that there is no confusion in the future. This will put your client in the position of having to clearly outline these and will make you look very organized. Then, work with the new party. They’re probably in the same spot as you. They are probably worried that you’re going to be combative or that you’re going to block their efforts. You never know if this person may become a great referral of new business. You don’t have to be their bestie, but you can have a great working relationship. It is your duty to work for the best interest of your client and this may be a fantastic way for you to get results and show just how good you are at teamwork. Pick up a tool like Socialdraft which has team capabilities. Everyone can have their own log-in and different permissions. This makes it easy to be transparent without having to worry that someone is going to mess with your work product. You can even set up your client and their consultant up with guest accounts. That gives them access to their content and lets them leave notes, but not make any changes. You’ve been working your tush off for your client. They’re getting great Facebook organic reach without any ads. Then, suddenly, you get an email from your client asking why their competitor has 50,000 fans. Or maybe they accuse you of breaking their website (when what they have is a virus on their computer). They start sending nasty emails, asking for the impossible and in CAPS none the less. You need to take control and you’re going to do this with communication and numbers. Going forward, you’ll be sending them weekly reports that include your growth, demographics (you can automate this with Socialdraft), and include an email with the attachment that tells them some awesome milestones (like that time Alyssa Milano retweeted them and broke their site). You’re going to explain to them how their competitor’s 50,000 fans mean nothing because their posts get no likes and that your demographics are all within their city or state. The idea here is not to give them a chance to question anything. If you’ve already done this, the issue may not be you. They could be having problems with their spouse, maybe it’s low season and money is tight. Ultimately, you’re dealing with a human being and we’re all flawed. Ask them to hop on a video call so that you can discuss their concerns (we use Zoom and love it!). Seeing your face will help more than an email or a call. One day you wake up to check your analytics and you see 5,000 new followers from Bangladesh. Or your client keeps liking the page’s Facebook posts (not even as themselves, but as the pages). They ignore everything you say and are taking images from Google and posting them without telling you along with a link to their site. You’re freakin’ out. Your client hired you just to post to Facebook, but not to grow their audience. You took them on with the clear stipulation on exactly what the job was. They like your posts, but now they want you to grow their account and get more clicks to their website. You can do these things, but they require more time, planning and engagement. That means time and you need to get paid for your time. You quote your client and they don’t want to pay more. Explain to the client that these things take time. Because of the time requirements, there is an extra charge, but these changes will result in an ROI which you will include in your reporting. And next time you quote them (even for a small project) include the costs of these extras in the contract and add them in as an on-request basis. This way they know that if they want something new there is a cost attached. Maybe your client has no time to send you pictures and asks you to “borrow” from Google. Then they demand that you leave positive Yelp reviews for their business (or worse, buy fake Yelp reviews). Even if the request seems small, if it is illegal, you cannot comply. This is your reputation and your business. Start off by telling your client you’re not sure about the legality of their request. Suggest that you do a quick Google search to check on that. If they insist that you partake in this illegality, ask them why they are interested in doing this. If you understand their desires, you may be better able to suggest something else that is legal and effective. Ultimately, if they keep pushing. Just say no. Lawsuits just aren’t worth it. Makeup and beauty make sense on Instagram, it is, after all a social network focused on the visual. This is both a blessing and a curse. While it is the perfect social network for make up artists, shops, and vloggers to promote themselves, there are tons of people on there who are competing against you and working to steal your audience. You don’t have to fret. Today, we’ll discuss the top Instagram Makeup and Beauty Hashtags to use and how to incorporate them into your Instagram strategy so you don’t just gain followers, but make money. Before you read on, take a few seconds to copy the Makeup and Beauty Hashtags below (just click the “copy” button) and then save them into your phone. These will be the building blocks of your Instagram strategy. Think of Instagram as a miniature Google that is growing by the millisecond. Just like Google uses keywords for SEO, Instagram has its own version: hashtags. When you use hashtags, you need to think like an SEO. Is this hashtag going to get me found, and who is it going to get me found by. If the hashtag is not relevant (#followforfollow) or not targeted, the answer is no. Think about it, when someone hops on Instagram and searches #lipstick, they are probably looking for new ideas for a purchase. That’s a pretty good person to attract. If you sell or promote lipstick and you are not using that hashtag, you won’t be found. The only people who can get away with not using hashtags, or only using one or two hashtags are celebs like the Kardashians. This is not the time to worry about looking cool. Know what’s cool…making money…and you know how you’re going to make money, by being found. So use all 30 hashtags that Instagram allows you to use. Now that you have the basics on how to use makeup and beauty hashtags, let’s get down to business. • L I P S T I C K • R A I N B O W • Loving these new lip shades that are permanent! #bangingbrilliant #lipsticks ? #lips #lippy #pinklips #neutrallips #orangelips #redlips #glitterlips #bluelips #greenlips #yellowlips #purplelips #greylips #glossylips #mattelipstick #maclipstick #lovemakeup #makeup #pina ?? The hashtags you copied above aren’t going to get you where you need to go. Why? These are general hashtags. They are used quite often. This means that you won’t stay on top of the feed because of the number of posts that utilize these hashtags. That being said, you want to give yourself a chance to reach the millions of people who are searching this type of content on Instagram, so you still want to use them. What you need to do is mix these with more focused hashtags. So, while you will want to keep #lipstick (13 million posts as of today) as part of your hashtag kit, you will also want to add more specific hashtags to draw an audience that is interested in exactly what you are offering. Think #MatteLipstick. This hashtag currently has 463K posts attached to it. This is a perfect hashtag for you. It has enough visibility to get you a decent number of eyes, but it is not too large that you get lost. It also gets you a more targeted audience. These people aren’t just looking for lipstick, they are looking for matte lipstick. You’ve just upped your chances of engagement and of making a sale. If you keep your targeted hashtags between 100k-600k you will be giving yourself the best chance at being seen by the right people. Say #AriannaGrande is trending. This is when you want to create content utilizing her shades of Viva Glam. Make sure that you tag it #AriannaGrande #VivaGlam #MACcosmetics so that you can take advantage of this trending item. You can do the same with events such as the Oscars, Mother’s Day and lots more. Instagram is the place to brand yourself. You need to come up with a branded hashtag and then educate your clients and audience to use that hashtag to help you grow your brand. Take Pat McGrath who uses the tag #makeupbypatmcgrath. Pat has created 1,900 pieces of content, yet the hashtag has been used 6,000 times. That means that around 4,000 people have become Pat’s personal marketing army. And Pat’s army includes professionals like Samuel Harrison who has a following of 34k. What does this tell you? Start to collaborate with others in your industry, help each other out. It’s an easy way to grow your following and credibility. Using a well-recognized name helps. Just like you would talk about the products you use when you’re working with a customer, you will want to start the exact same conversation on Instagram. Check out how Mario Dedivanovic has used #anastasiabeverlyhills as a hashtag. It is his way to communicate that he uses their products and to connect with their fans. Go beyond a hashtag. If you are using and promoting someone’s products in this way, make sure you @tag them as well. This way they will receive a notification and hopefully (if they are smart Instagram marketers), they will like, comment on and share your post. Post Daily, engage and reshare content. If you’re not posting daily (or at least consistently) on Instagram, you’re going to lose followers. It is also possible that since each day off is equivalent to fewer interactions that the algorithm will kick in and you’ll drop in the feed. 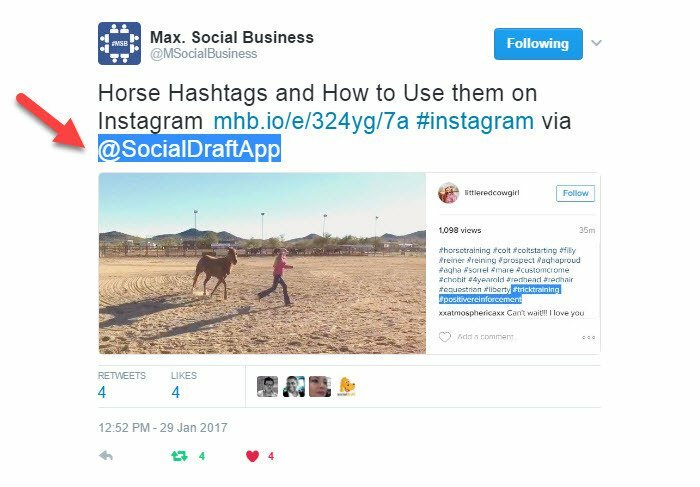 This means that you should be using an Instagram scheduling tool like Socialdraft to schedule to Instagram on a daily basis. This will keep you consistent and growing on a consistent basis. Now that you have your starter list of Makeup and Beauty Hashtags for Instagram and an entire technique on how to use them, it’s time for you to get out there and slay. Social media is a complicated thing. It can get even more complicated when you throw people into the mix; interns, employees, outsourcers, and even clients. With Socialdraft, a social media tool for teams will make it easy for all of you to work together to achieve your social media marketing goals. Admins: This is the person that set up the account, he/she has access to all features, settings, and billing information. View, generate and download reports. Guests: The guest role is for those of you who have clients that want a little more input. You can add a guest user to have access to just certain content calendars. Guests won’t be able to schedule, edit or publish content, but they are able to leave comments and feedback on said posts. If your interest in Socialdraft is piqued, take us for a risk-free trial. If you find we’re not the right fit for you and your team, cancel before the trial period is over. It’s that easy. Want to take Socialdraft for a trial, click here. One of the most important things that you can do as a modern marketer is fall in love with something that direct response marketers have loved ever since the early 1900’s – the ability to measure your marketing and its impact: to test, tweak, and modify your marketing until you get the kind of conversion rate you’re happy with! Unfortunately, a lot of otherwise smart and savvy business owners really aren’t all that comfortable with marketing OR measuring – and that’s why most have absolutely no idea about KPIs for social media reports or which KPIs to pay attention to and give the most weight to. Obviously, that’s going to be a big problem – especially considering just how competitive today’s online marketplace really is. If you’re not measuring your results, you won’t be able to replicate the things that work…and revamp those that don’t. Pay attention to all of the inside information we are able to share with you below and you’ll begin to understand EXACTLY which KPIs to include in your social media reports and which ones to really lean on when you want to know how well your social media campaigns are doing! Note these goals have very specific number goals. All these goals should also include a time period. One of the most important KPIs (Key Performance Indicators) that you’re going to want to pay a lot of attention to is the number of followers and fans that you have on your social media platform. Before you get overly excited, you need to make sure that the current following you have is real and targeted. Why? Because these followers don’t convert. Sure, those big numbers look nice, but fake or untargeted followers will mess up your ROI. Clicks: How many people click through on your social media posts (use a URL shortener like Bitly – they’re Socialdraft compatible). Comments: This is one of my favorite measurements. If people take time to comment on your social media posts, this means they are really invested in your brand. Pro tip – ask questions to increase your comments on your social media posts. Retweets: Retweets are awesome. It’s a very simple metric. How many people on Twitter have “forwarded” your tweet on their feed to their network of followers. Retweets give you a chance to be seen by that person’s entire Twitter circle who may, in turn, share it as well and even follow you. Retweets will usually (but not always include an “RT” at the beginning of the post, but will always include the retweet icon. The more retweets you get, the better. Social mentions: If you are being @mentioned by others on Social Media, you should rejoice. The more mentions of your brand or business on social media (unless you’ve just been involved in a snafu) is a great thing. Keep an eye on the conversations that mention your company, this will give you a better idea of reach. Social shares: You want your content to be shared all over social media. Think of each social share as a link to your content. The more shares, the better. Just as with retweets, they increase the chance that your article or message will be seen (and that an action may be taken) by the sharer’s social circle. If you have not already set up Google Analytics, you need to. They can get pretty complicated, but we’re going to give you a simple place to get started. 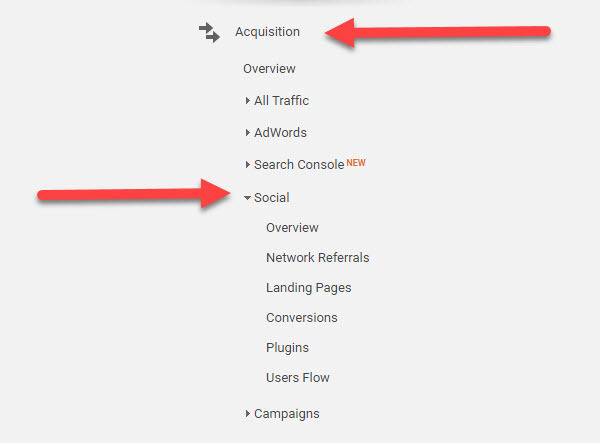 Once you have done set up your Google Analytics, go to Acquisition > Social > Network Referrals. This will show you how much traffic each social network is sending to your website. So make sure that you have a goal for each of your social media posts and that you measure the conversions on each of these calls to actions. Sales: Speaking of conversions…this is the ultimate conversion, a monetary transaction. Each time you sell something (be it a physical product, service, or membership) – make sure you track where that sale came from organic traffic, paid traffic, or social media. If you’re noticing a decent number of sales from Social Media, then you’re doing a-ok. These engagement details are of the utmost importance to track because they are going to let you know just how well you are resonating with your market, at least from a social media standpoint. These are the KPIs to include in your social media reports when you want to really understand how effective your marketing is, how much you understand about your target market, and what you can do to better improve your marketing moving forward. Isn’t it amazing how social media has evolved? It started what seems like ages ago with Geocities in 1994. Then, Friendster hit the waves followed by the ever-famous MySpace. Today, we’ve seen the rise and fall of Google+, Vevo and so many more…but there are a few social networks that have outlasted the rest: Facebook, Twitter, LinkedIn, Instagram, and Pinterest seem to have the strongest staying power. IF you are just jumping on board and need to quickly build your Social Media following, read on. We’ll give you some tried and true techniques so you can not just grow a following, but grow a following that is targeted and converts. Those who expect to go on a social media site and become an overnight success should expect to be disappointed. Success on social media requires strategy, consistency, and persistence. It also requires diversification. Relying on only one network can really be risky. Snapchat’s fans recently rebelled. What would happen if that was your only marketing channel? Hate to confirm what you already know, but growing organically on Facebook is a more difficult task by the day. It is evolving into a pay-to-play dashboard, but that does not mean that you can’t win on Facebook. Contests are exciting ways to bring engagement to your Facebook page. Just remember that people have content fatigue, so that fee piece of pie at the end of a meal is not going to get people excited. Make your prize truly amazing. Collaborate with other related businesses to make the prize something to get really excited about. This means creating content outside of regular Facebook posts. Think about creating a free e-book, a really cool video, or some sort of content to provide a value to your audience. Blogging and website platforms like WordPress have a range of Facebook like plugins. Activate these plugins to launch once someone has been on your site for about 30 seconds to a minute. If they are there that long, it means they are interested in your content. Launching them too early will probably make them click off page and hurt your time on page. When executing this tactic, always remember to keep a balance between capturing that like so you can retarget & keeping people on the page. Test to see what content will drive “likes.” Oftentimes this can be inspirational content. Back in the day, images of Inspirational quotes would do, but these are trite now. Create a powerful video and upload it directly to Facebook to get the most engagement and shares possible. If there is anything you can do (outside of paid reach) to grow your audience is to engage. Respond to comments, but don’t stop there. Get out to pages that cater to your audience and comment and like their posts. Each comment is like Facebook link building, it gives people another way to reach your page. Run ad campaigns and promote posts. Facebook has some of the best targeting options (outside of Google), so if you target properly you can grow an audience that converts. Especially after videos on your site. Once people have watched a video, prompt them to like your Facebook page. It’s a great way to get more likes. Take time to make sure your profile and “Bio” are to the point. Use keywords to attract followers in your niche. Tweet more often. The timeline is always moving and your audience will be on at all different times. This is one network where more is more. We tweet around 10-15 times per day. Hashtags are Twitter SEO tools. They are a great way to get found and to expand your tweet visibility. Schedule and automate tweets. We recommend 80% lead & influencer content followed by 20% of your content split between evergreen & promotional. Spend the rest of your time engaging. Make lists of influencers. Share their content via scheduled posts and retweets. Always include an @mention so they get a notification whenever you share. This is a great way to start up a conversation. Twitter chats are a fantastic way to reach your target audience. Join some, or start one of your own. Twitter will suggest followers according to those you follow and engage. This is an underused tool you should take advantage of. Don’t bore your audience by always tweeting about yourself. Think about their problems and craft your tweets so they are the answer to their problems. If you can provide a value to your Twitter audience, your account will grow. Promote your Twitter account everywhere. Make sure it’s visible on your website, business cards, and that you cross-promote on other social networks. It’s easy to forget to post to Instagram, use an Instagram scheduler like Socialdraft to make sure you post consistently. I cannot stress the importance of engagement. You can have gorgeous images, but if you don’t get out there and engage you’re not going to grow your Instagram account. Engage on hashtags, location, and on followers of your competition. No matter what network, contests are a great way to gain followers. Run your contests on Instagram and promote them on all other social media. Think about running a repost campaign. This way your community creates the content and helps you share it to their audience. 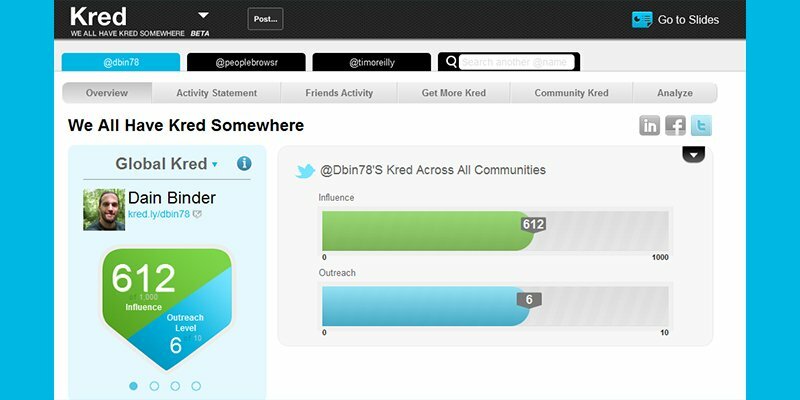 Socialdraft has a great repost tool on the dash to make this easier for you. There are fantastic plugins that allow you to display your Instagram feed on your site. It’s a fantastic visual tool to help you capture people who visit your site so you can remarket them later. Search Instagram hashtags, and repost to all connected social media. Ready to check us out? Sign up for your risk-free trial!!! I’m a huge fan of podcasts. They are the one place where I can get information without distractions. I listen to podcasts daily for an hour or two. The first hour while I walk my dog and the second on the elliptical at the gym. Since this time is so limited, I am quite choosy about what social media podcasts I listen to. The following list is a combination of my favorites, that of our staff, and those that are loved by the members of our social media managers group on Facebook. If you think I missed one that is essential listening, leave a comment so I can check it out. So whether you’re interested in learning more about marketing your brand by listening to podcasts, or possibly want to create a podcast of your own, here is a list of podcasts we really like with descriptions and links to subscribe on iTunes. These were selected not because they are 100% dedicated to Social Media, but because they discuss items that will make you well rounded and give you an edge in this incredibly competitive field. Enjoy. If you are looking for real-life examples of agencies and brands doing social media the right way, this is it. It’s simple, accessible, and it’s Free. As Social Media becomes more of a pay to play field, it becomes more and more important to keep abreast of the things that work when it comes to advertising. Rick Mulready’s podcast will make you a much better digital advertiser. audits, the creation of strategic plans, workshops, and coaching, setting up and configuring metrics and tracking. Marketing Over Coffee is a podcast that covers both classic and new marketing. Your hosts, John Wall and Christopher Penn, record the show in a local coffee shop every week and publish the show on Thursday mornings. Because it’s a podcast, you can download the shows and listen to them whenever you want. Each show is about 20 minutes long and is filled with the kinds of marketing tips and tricks that you can only get out of casual conversation outside of the office. Six Pixels of Separation podcast offers marketing and communication insights. Mitch Joel, journalist, publicist, and president of Twist Image, a digital marketing agency, explores the complex world of digital marketing and social media with the perspective of a digital marketing agency. Joel’s blog and podcast focus on the intersection of digital marketing and personal branding. The Social Media Marketing podcast is an on-demand talk radio show from Social Media Examiner. It’s designed to help busy marketers and business owners discover what works with social media marketing. Each episode includes social media success stories, interviews with industry experts and tips from Michael on how to improve your social media marketing. This weekly podcast gives you an insider’s view of the world’s top authors, influencers, entrepreneurs, speakers and business leaders who have achieved success by working with their audience to amplify their message. Episodes run 30 minutes and have included people such as Jen Groover, Bryan Kramer, Porter Gale, and Ted Rubin. Each guest is prompted by Brit to share tips to help budding entrepreneurs to become successful. They also chat about tech and marketing trends. Is Klout Score a Good Measurement of Your Social ROI? The hilarious George Takei wins the internet with a 90 Klout Score. 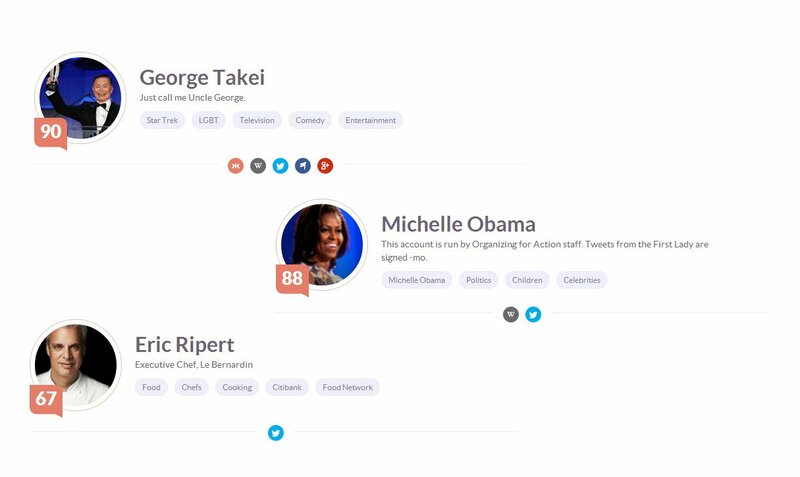 Michelle Obama does quite well at a solid 88 Klout Score, and French Chef Eric Ripert holds sway over his audience with a 67 Klout score. What Klout really measures is your level of influence on your fans and followers. When you speak, do they listen, do they click through, do they engage with you. Is Klout a Good Measurement of Your Social ROI? Yes and no. Klout is flawed, but it is an easy way to get a quick view into your social media presence. 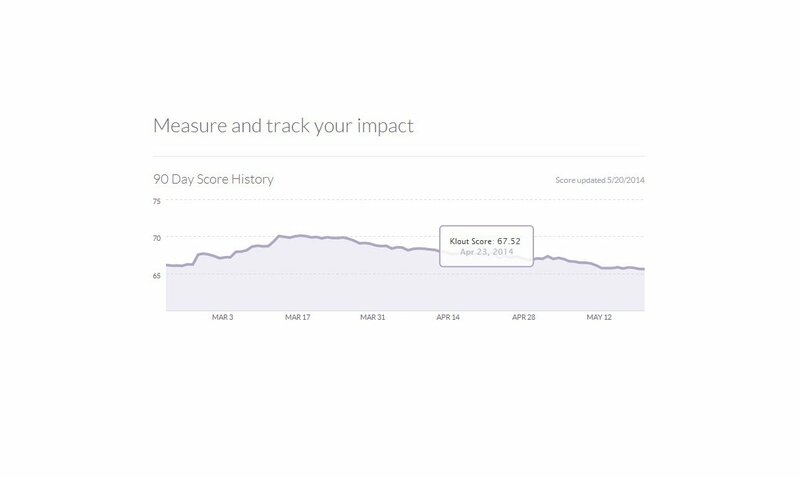 If you start to see a drop in your Klout, then you need to do a deep dive into your social media analytics to see where you are going wrong. That being said, Klout is no longer taken seriously. Serious marketers will look at other ways to measure effectiveness. Klout can be gamed by purchasing followers or retweets, for example. 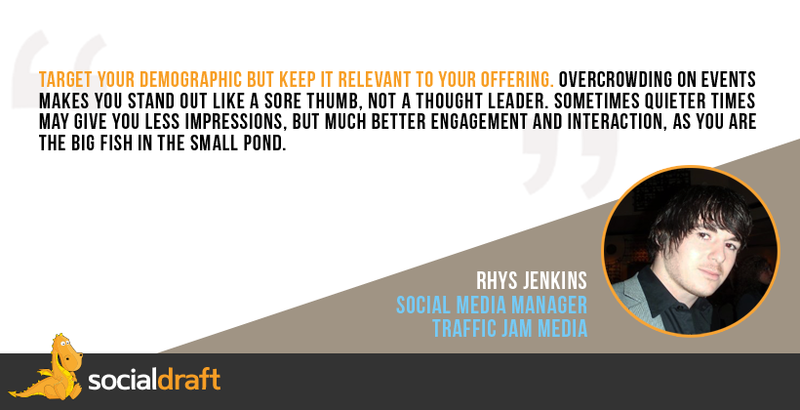 Instead, you should focus on more serious metrics such as social CTR, engagements, etc. If you are looking to find out if someone is a genuine influencer, click here for our tutorial on how to find social media influencers. 1. 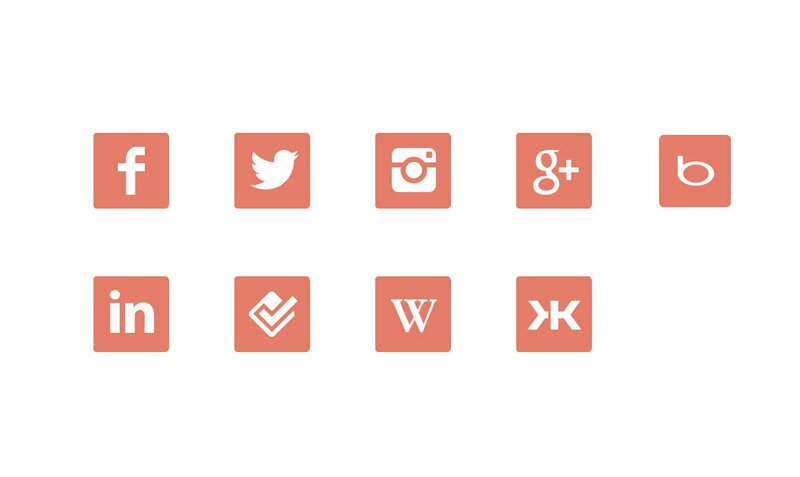 Connect: Start off by connecting all the social networks that Klout measures. This gives Klout way more data to work with. 2. Interact: Create a network of people to interact with. Select people who are in the same area you want to become influential about. If you are a winery, interact with wine writers. If you are a restaurant, interact with other local businesses and food bloggers in your geo targeted area. 3. Content is King: Create fun and interactive content to increase the chances of click through and engagement. 4. Interact with Everyone: Social media is like a party. If someone says hello, say hello back. And don’t be afraid to meet new people. 5. 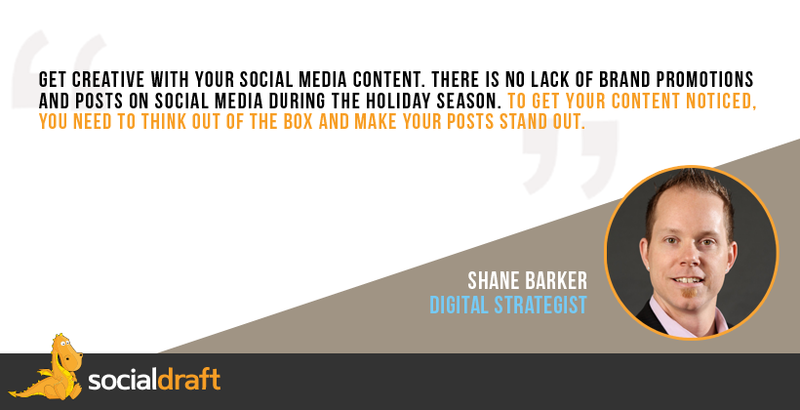 Be constant: Use tools like Socialdraft scheduling to create content on a daily basis. If you’re not part of the conversation, there’s no chance for you to influence anyone. 6. To Rank for A Topic: Create lots of content around that particular keyword on Social Media. You should see yourself starting to rank for it within a week or two. As mentioned above, a better way to measure Social Media ROI and influence is to look at hard numbers. 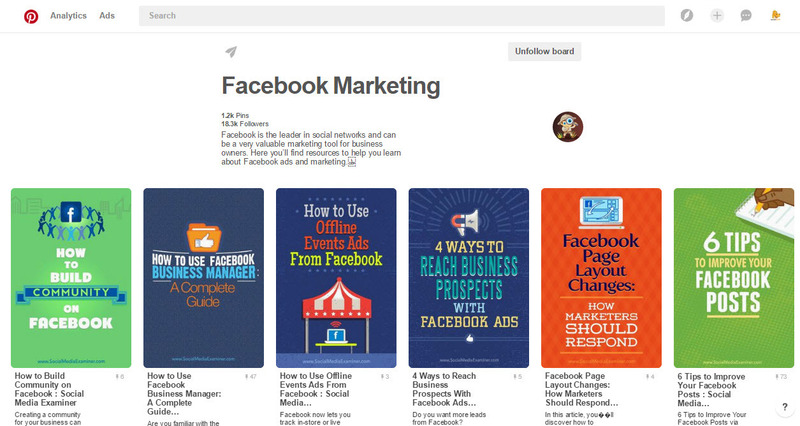 You can do this manually, or use tools such as Socialdraft which allow you to pull data from Social Media. If you would like to see how Socialdraft reports, work…take a risk-free trial today and see for yourself. Airbnb has changed the way people travel. They now consider staying at someone’s private house instead of your hotel or BnB because they are beginning to see an added value (mostly dollar savings). In 2012 there were over 12 million bookings. This means around $150 million dollars taken away from the hospitality industry and does not include sites like Craigslist, HomeAwayway, and Couchsurfing. If you are a hotel you have more competition than ever. Stop and breathe. Smart hotel and BnB managers will survive. It is up to you to not only provide extra value for potential customers but also to communicate it effectively so that it is not you who loses business. 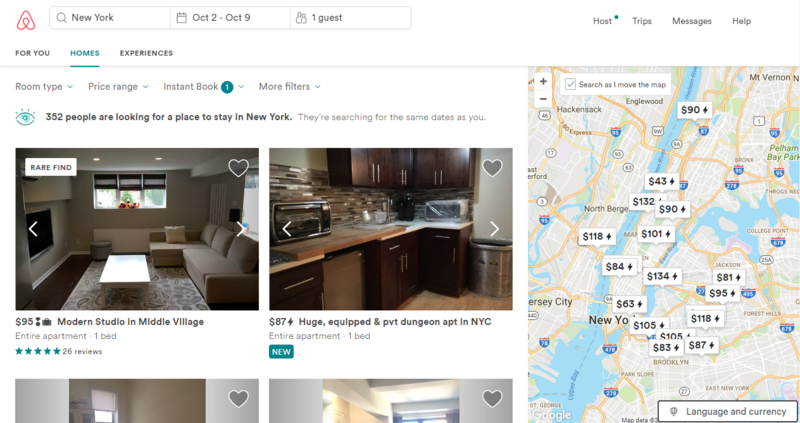 Hotels can beat Airbnb at their own game with Social Media. Let’s discuss. Why are people switching to Airbnb? Most AirBnBs are people’s homes and apartments, this means much more square footage than a regular hotel room. Airbnb listings include kitchens, washers & dryers, tons of closet space. You need to make it so that your guests feel they have the same amenities. While it may mean a cut to your profit margin (at first), it will pay off in the long run. Offer amenities like water for free. Include a complimentary breakfast or a light lunch snack. Include Wifi. Seriously. FREE is becoming mandatory. Add lots of hangers (If I am coming to your hotel for a week or two, I’ll need more than just those 5 hangers you give me). On slow times of the year, upgrade customers to better rooms. 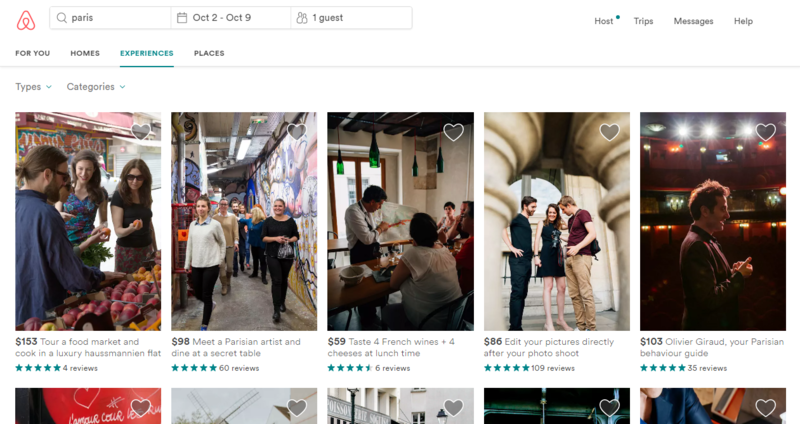 Travelers rave that they love the recommendations and amenities they get from Airbnb hosts. They like dealing with real people instead of a computer. You can give your customers a bit of both. Do they mention a special event or reason for visiting? Leave a special gift or surprise. It’s the little things that make the difference. Hotel stays can feel impersonal, especially in touristy areas like say Times Square. We know it is easy to suggest the Starbucks right outside the door (sorry Starbucks), why not show them where that independent coffee shop is with the really good macaroons – they will talk about it forever and possibly give them a plug when leaving reviews. It’s also tempting to recommend the restaurant that gives kickbacks per table. Don’t recommend places because you get money from them. Send your guests to truly special spots. Instead, create a blog about the area and reach out to local shops so they offer a discount to your guests. The local businesses will appreciate the biz, which means they will probably reciprocate. This will also help you on the SEO side and set you up as a true local expert. Skip recommending the tourist traps (instead of suggesting the MET – which we love – suggest the Frick, or even the Cloisters). This will make your guests feel truly special. Have a handy list of more specialized needs such as a nail salon, or a local painting studio. This can be a bit difficult since homeowners (or renters) don’t always have another person coming into the place right away. But see if you can be more flexible with certain things like check out time without charging fees. Offer guests a free late check out. Push back your check out time on slow nights. If you can’t offer a late checkout, offer your guests a complimentary cocktail in the lobby bar. Airbnb apartments are significantly cheaper than hotels. This means you have to get creative. Offer discounts for longer stays. Include perks like free wifi (no more nickel and diming) or free dinner for two. Include a bottle of wine in your “weekly” package – at $6 a bottle for a good Chilean wine, you can certainly work this into your costs. This is where you can definitely shine. Most Airbnb apartments will offer cleaning at the end of the stay, not during. You have the advantage here, when people travel, they don’t want to clean…and they may not want to cook. When you create social media posts, blogs, advertisements or newsletters, remember to hint at the luxury of truly getting away from it all. At Airbnb apartments, guests do not have the luxury of a 24-7-365 staff. Make sure your service staff introduces itself. Leave a personalized note (with that bottle of wine you included in the package) reminding them that their wish is your command. Have your concierge call a few days before departure to see if your guest will need a ride to the airport arranged. Take the work out of their trip and your guests will be eternally grateful. Another advantage you have is amenities. The majority of Airbnb rentals don’t have pools, gyms, or business centers. There are no communal areas for your guests to meet other tourists. They may even have to bring up their own bags. Make sure you communicate these perks on your marketing materials. Sure, you can post pictures of your rooms to Facebook, but why not show your future guests that you’re a different kind of property. The Adare Manor did this in a very smart way. When a little girl lost her toy bunny, they posted about the bunny having lost its owner. 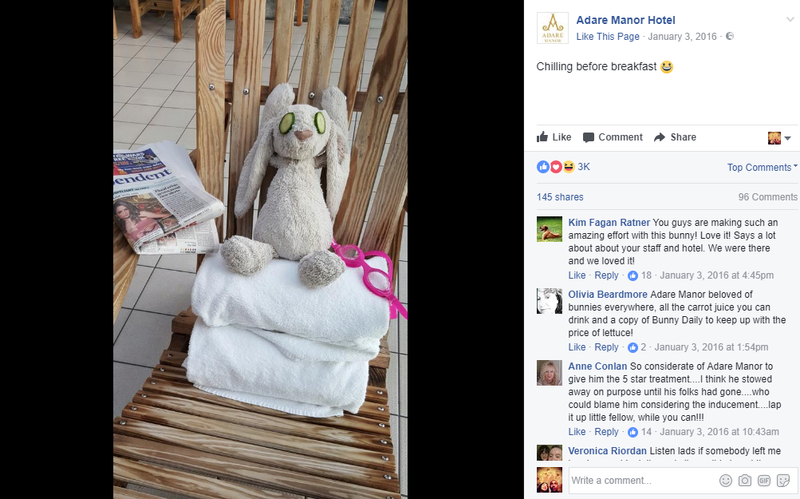 Then, they proceeded to take pictures of the bunny receiving VIP treatment including sunning by the pool, hanging out with staff and getting room service. How’s that for a way to show off your service? Most Airbnb properties are private homes. Their amenities tend to be only utilitarian. You can offer luxury; massages, tennis, breakfast in bed. 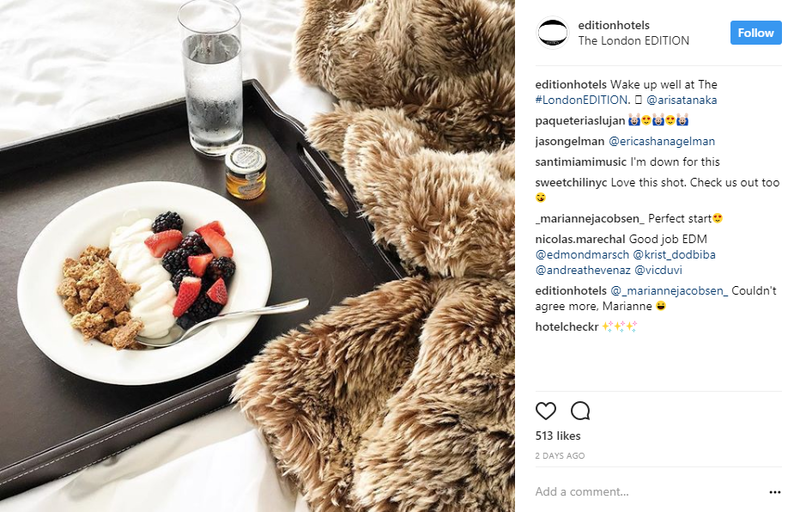 Edition Hotels does a great job at this. They aren’t shy about pushing out the luxury aspect of staying with them instead of at some person’s house. Because individual AirBnbs are usually a one or at max two property deal, they don’t have the resources to work and pay influencers. You do! Take a queue from Starwood who partnered with 5 influential bloggers to promote their Tribute Portfolio. Each blogger wrote a blog post and crafted Social Media posts about their stay. Just make sure that you check the latest laws and that your agreement makes it clear to the influencer that they must disclose. And…if you don’t know how to work with influencers, just click through to our article on working with influencers and how to measure the ROI of an influencer campaign. Pinterest is a huge driver of traffic to websites. It is also a social network that works on people’s wishes and desires. Pinterest is all about who you desire to be and what you desire to do. Take the time to create local and hyperlocal boards based on your location. This serves various purposes. It allows you a chance to come up on location search on Instagram when people search for the location increasing the chances of discovery. It also allows people to save your images to their boards to come back to later. Lastly, it can serve as a sort of guidebook for your guests on the things they can do while staying with you. It’s an incredibly powerful tool. If you are curious about Socialdraft, take us for a spin. We offer a risk-free trial, so go ahead and sign up today. If you are a dentist and you are not using Social Media you’re losing out on massive opportunities. Social media sites such as Facebook, Twitter, Instagram, Pinterest, and LinkedIn are free to use. This means your ROI (return on investment) for just one paying client can be HUGE. Better still, social media is no longer dominated by the young. Older people are getting onto social media each day. This is HUGE when it comes to new patient potential in multiple demographics. 23% of all time spent online is on social media websites. Social media websites are a great way to advertise your business, connect with patients, and get more visibility for your dental practice. What exactly are the benefits of Social Media Marketing for dentists? 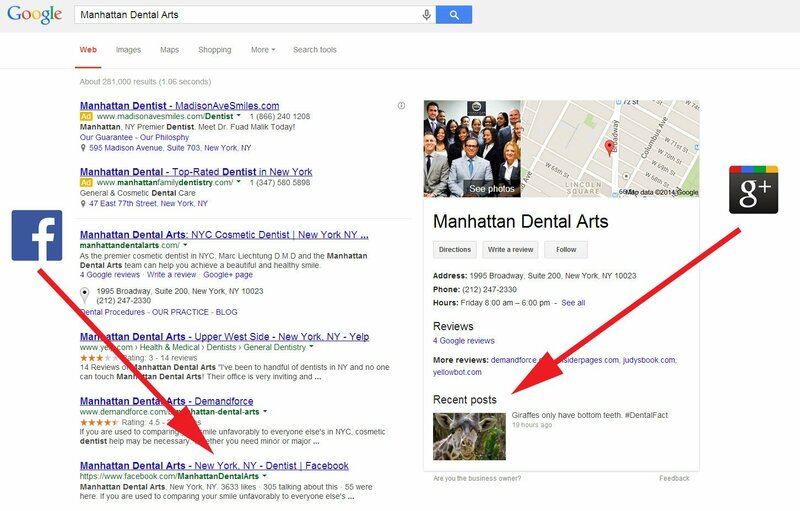 Although it has not been confirmed, search engines are using social signals to determine search results. Search engines such as Google will factor the quality and size of your social media accounts into their results. A healthy following (relevant followers and a robust number of followers) shows search engines that you are creating quality content, something that is very important to said search engines. On top of this, you need to consider each social media site as a mini search engine. 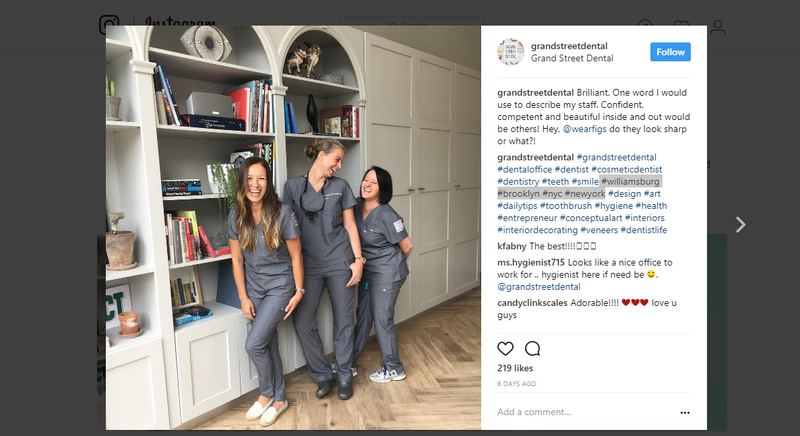 Grand Street Dental in NYC understands this and uses hashtags on Instagram to increase their chances of being discovered. Whenever someone searches for the hashtags that the account has used in their post, this practice has a chance of being discovered. This includes location, industry, and branded hashtags that will yield a view that can be converted to a paying customer. Dr. Richard Marques does a great job educating current and potential customers on his Twitter account under the handle of @Ask_The_Dentist. His profile encourages people to ask questions via DM, and he shares content like this video which educates clients on the services he provides. This type of content can be shared on almost any social network. The Singing Dentists knows what Dentist Social Media is all about. Yup, he’s a real dentist who is known for his singing. He creates videos talking and singing about dental health. Notice how many views and shares these video gets. It’s a great way for him to market his brand and his practice. Perhaps you don’t have a great singing voice, but there are tons of other types of posts you can create on Social Media to show the human side of your practice. 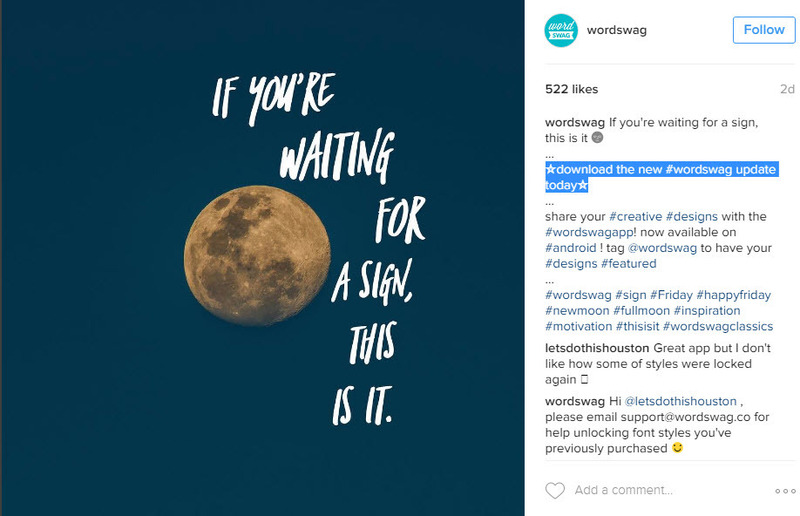 This type of post will create a connection with your current clients who will then share your content to their social circle. It keeps them loyal to your practice AND gets them to market your services. Pretty neat, right? Using a social media scheduling calendar will keep you organized. Just like your practice, social media needs to be carefully planned and executed. With Socialdraft, you can control the dashboard, give access to either your social media firm or your in-house marketer and have control over what is being published to Social Media. You can pull reports, engage your audience and much more. Start off by making sure your site is responsive. You want to make sure that all the traffic you drive from social media counts. If your website is slow, people are likely to bounce, and Google will drop you in the search results. Enable social sharing plugins to make it easy for your audience to share your blogs on social media. Also, make sure that your social media accounts are easily located at the top of your website. If you’re short on time or manpower, you don’t need to publish daily. Remember that the quality of the content is more important than the frequency. However, if you use a dashboard such as Socialdraft, you can use CSV sheets to schedule evergreen content such as yearly holidays, treatment reminders and more. Make sure that the aesthetics of your social media accounts match that of your office and in-house marketing materials. If you are mentioned on a blog, newspaper or dental publication, don’t be shy. Share that all over social media. When your customers leave you a nice review on Yelp, go ahead. Share it. It’s easy with Socialdraft’s alert system. It lets you know every time you’re mentioned online. Skip the Groupons, these tend to bring in one-time deal seekers. Instead, offer discounts and deals to patients who take social actions – such as tweeting their beautiful smile and tagging your Twitter account. One of the most requested features by our agency users was to have guests invited to the dashboard. They told us that some of their clients were asking for a way to review posts and leave notes before they posted. Socialdraft already offers downloadable calendars (you can send them as PDF to clients), but we thought this would be a great idea for those of you who have clients who are more hands-on. Since you asked, we now deliver: Socialdraft Guests! Socialdraft guests are people you can invite to have access to the Socialdraft dashboard, but with restrictions. What Can Socialdraft Guests Do? Socialdraft guests can view scheduled content and leave notes about posts that need approval on the dash. Say you are an agency, but you have a client that requires a bit more access. you will be able to invite them as guests, give them access to view a one or multiple calendars and make internal comments on posts that have been set up to require approval. The approval still must be done by an account admin. Guest can also filter to see posts between accounts they have access to. What Can’t Socialdraft Guests Do? Guests can’t see, feeds, or settings. They can’t re-schedule or move posts, they can’t delete posts or duplicate them. Team members get a ton more access than guests. A team member could be a member of your organization, an intern, or a freelancer. Team members can be given permission to create content and the all-in-one inbox. Socialdraft managers have a more power than regular sub-users or guests, but less power than account owners. What Can Socialdraft Managers Do? All posts that are created by the manager are considered approved. What Can’t Socialdraft Managers Do? What Else Can I do With Socialdraft? Socialdraft allows you to manage Social media across the major social networks: Facebook pages, LinkedIn Business Pages, Instagram, Twitter, and Pinterest. With Socialdraft you can collaborate with multiple people to create content, engage an audience, and even pull analytics on your Social Media. Socialdraft also includes some incredible time-saving tools such as CSV bulk uploading, post duplication, and Instagram reposts to other social networks. Curious about Socialdraft? Take us for a spin. We offer a risk-free trial. If you find we’re not the right fit for your business, just cancel before the trial period is over. Super easy and super simple. Social media fails are the nightmare of SMMs. When you’re creating content for clients, the last thing you want to do is create a piece that offends and ends up getting you fired. It’s not just that gig that is on the line, it’s your reputation (and that of your client). Today, we’ll guide you on how to edit social media content. The focus here is how to look at your content before scheduling it to social media. These are simple questions to ask yourself which will help you to Edit Social Media Content before going ahead to schedule it. Does this post provide value? People are going through content fatigue. Every single day they are bombarded by messages from people just like you who are trying to get them to click, buy or share. Before it was just television ads. Now it’s social media, ads, product placements, and news. So, if you are going to either create or share a piece of content, make sure that your audience will find it useful and that you make its usefulness ridiculously obvious. Will your community find this content to be of value? If the answer is no, then you need to get back to the drawing board. If you’d like to see a good example of this, check out Social Media Examiner‘s Pinterest account. Their ultimate goal is to get people to attend their conference, how do they work to achieve this daily, by sharing posts that are of incredible value to their community. Does this post help you achieve your ultimate goal? When we spoke about how to create a social media plan, we discussed how you need to have SMART (Specific, Measurable, Attainable, Relevant and Timely) goals. Each time you create a piece of content for social media, you need to make sure that it is a pathway to achieve this goal. The above is a great example from WordSwag‘s Instagram account. Their goal is simple, get people to download their app (it’s awesome BTW). Their write up is simple, clear, and leads to a simple call to action asking their users to download the update. Not all goals have to be a direct call to action as this. Many times this can be asking for a share, a comment, a click, a tag…this all depends on your brand of business and the goals you’ve set. Is this format the best for the Social Network I’m publishing to? If you’re creating the same type of content for all social networks, you’re making a HUGE mistake. Each network has a different audience. Some networks do better with video, others with live streaming, others with long form content…so before you schedule to a network, think about the best way to package your message so it makes the most impact. Is this high quality content? By high quality I don’t mean glossy. By high quality I mean content that matches the voice and feel of your brand. Any piece of content you put out needs to meet the standards of your brand or client. So, for example, a meme may be making the rounds that is getting lots of engagement, but if it does not fit your brand, posting it may give you a temporary boost, but this will probably be the wrong audience. What time should I post this? Posting time makes a HUGE difference across all social networks. While we suggest that you schedule your content ahead of time (this will open up time for you to engage your audience, analyze your content, and make adjustments as needed), you need to be aware of the best posting times for each social network. It’s the same as if you were handing out flyers at the mall, it does no good to pass them out when nobody is there. Your posting time will change according to your audience, location, time zone, and even need to be adjusted when there are major holidays or events. This is a biggie…you need to always be aware of the events that are going on. If ever any disaster happens, you need to grab a few seconds to review your calendar to make sure that nothing that could be conceived as insensitive comes out. You can do this easily with Socialdraft where you can drag & drop content to another date in seconds. We all know the joke, if you want engagement on a social media post…misspell something. Yup, it’s true, but this is not the kind of attention you want for your brand or clients. Before posting run your write up through a system like Grammarly. It’s not fool proof, but will catch around 75% of your mistakes. Once you’ve done this (and I know it sounds silly), read the post aloud. This will help you to make sure that it makes sense when read and help you to best edit social media content. Is this a Twitter or Instagram post? Then hashtags are a must. Do your hashtag research, check how they have been used before, and then make sure to add hashtags so that you can increase your reach. Tagging people and brands has been proven to increase your reach. Before you schedule your post, take a look at it and see if there are people or brands you should be tagging. For example Max. Social Business tagged Socialdraft on their share of one of our posts. This made it so our community manager got a notification and let leadership know. We, of course, liked & retweeted their content. Easy to do & smart. What Call-to-Action is Best for the Post? Calls-to-Action work. When you add a call-to-action, you can increases click thru up to 371%. That’s ridiculously powerful, so before you schedule, make sure to take a few seconds to incorporate a call to action into your social media post. 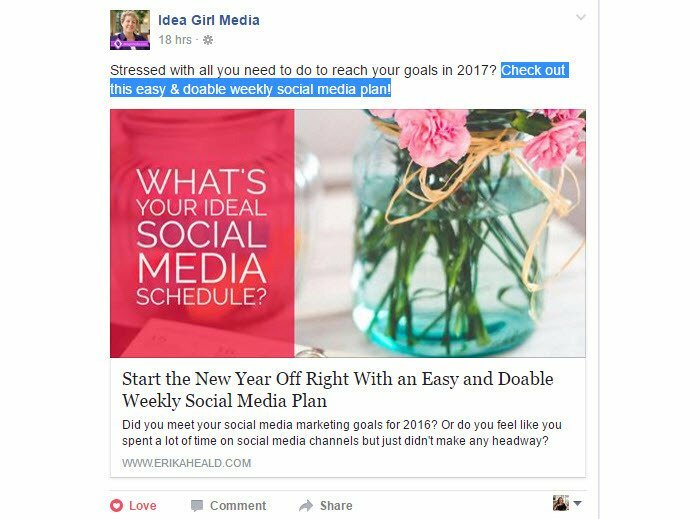 Always make your audience work for you just like Idea Girl Media does. Their posts are always of service to the community and include very clear calls-to-actions which increase their engagement across all social networks. Will My Images Look Gorgeous? Each social network requires a different type of image, so while you may be tempted to use the same image for each network, taking a few extra seconds to create a new one in the right size can make all the difference. On top of this, you need to keep mobile in mind. According to MarketingLand, 80% of social media time now spent on mobile devices. Make sure that if you include text in your write up, that it is easily seen on social. Oh yeah, and make sure they look good. 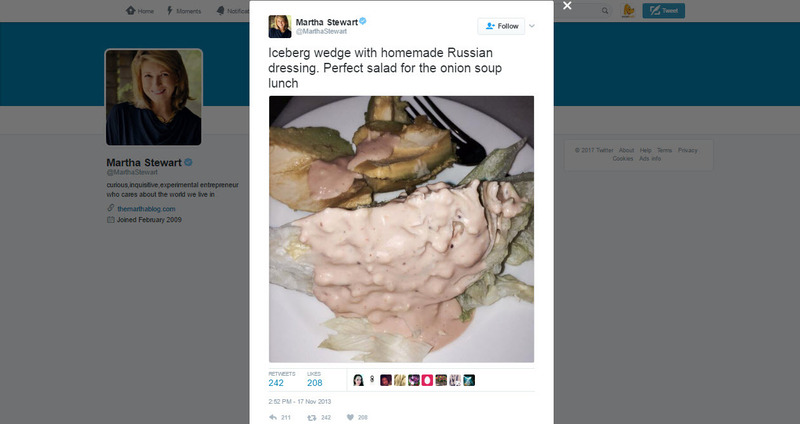 We already know about Martha Stewart’s Russian Dressing snafu. Granted, she owned it, but your brand or business may not be able to survive the negative attention. I keep these simple tips on how to Edit Social Media Content on a post-it right above my desk. This way, I never forget to triple check all my content before it goes out. After reading this, I’m sure you’re thinking you’ve got a lot of work to do and that’s just when you edit Social Media Content. Lucky for you there are tools to help you work smarter, not harder. Socialdraft is one of those tools. Socialdraft is a social media calendar scheduling tool that allows you to easily work with teams, manage clients, pull reports, and engage your audience. Socialdraft works with Facebook business pages, Facebook groups, Twitter accounts, LinkedIn Business pages, Pinterest Boards and Instagram. – Engage your audience on the all-in-one inbox. – Set special permissions for team members and more. You’ve been through it. It’s not just your mom and dad who have no idea what you do. Your clients are completely confused about what you do all day and how it converts into ROI for their business. This is dangerous and usually the number one reason for customer churn. Sure they think that social media is helpful in driving traffic to their website and to building their brand, but they don’t realize just how much of an effect social media actually has on their biz. If you plan to keep your job or your clients, then you need to learn how to explain social media ROI and just how much social media can do towards their ROI. Because without this skill, I can pretty much guarantee that you’ll be going through clients faster than you’d like. Businesses are getting savvier. They now understand that having a huge follower base means nothing if it is not targeted. They’re also now going beyond these vanity metrics (like number Facebook fans), to more serious metrics (traffic driven to a site by Facebook). The really smart businesses will ask you how they $2,000 they’re paying you is getting them a 3x on investment. You need to be ready to answer this or to be let go. There is nothing worse than losing a client because they are not profitable when you’re sending them tons of web traffic and potential conversions. If you become a master of Google Analytics, you can foresee when there is an issue and write your client when, for example, you’re driving hundreds of views to their website, but the audience is bouncing back because of an SSL certificate issue; or when they bounce out at the shopping cart because their shipping is too damn high. And yes…I know you’re a community manager, and that this is not a part of your services, but if you want to keep your clients, you need to be armed and ready with these answers (or better yet, prevent these issues from happening). Besides, when it is time to re-up your contract, you’ll be able to quantify exactly how much return on investment you’ve brought in. 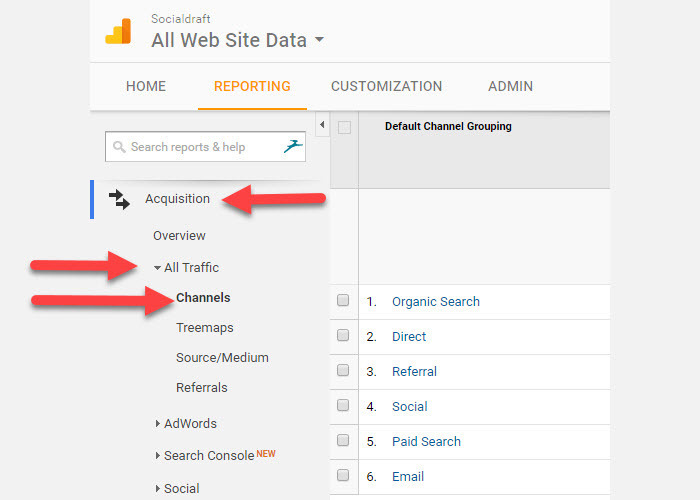 Let’s get down to the nitty gritty of how to explain your Social Media ROI using Google Analytics. This is a great way to track your ROI. With this feature, you’ll be able to add tags including AdWords Conversion Tracking, remarketing tags and more. Choose the website you need a code for. This is a unique code. Only use it on one site. Paste the code into all pages that you want to track with </head> at the end. Now that you’ve set up your analytics, you need to set up your goals. Pageviews are fine, but if they don’t convert, then your job is at risk. The more you can prove your Social Media ROI, the longer you will be employed or keep your contract. You need to concern yourself with signups, leads, actual conversions. Your goals should revolve around these. If you can prove all this, you’re in the clear. 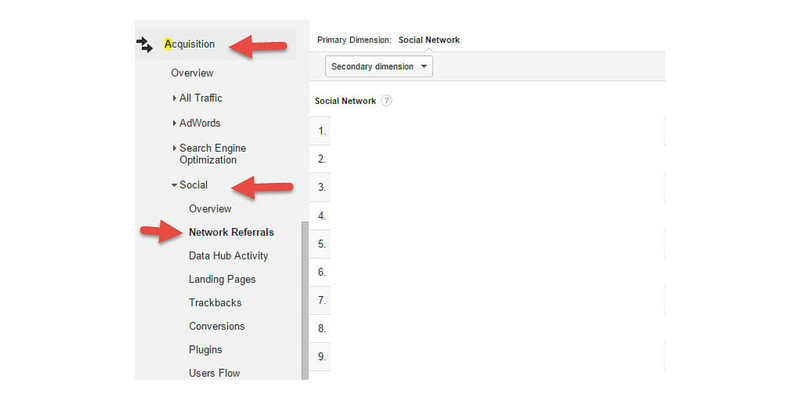 Google Analytics gives you 6 different types of reports to choose from. To get to them, go to Reporting tab > Acquisition > Social. This is the simplest measurement. It tells you how many conversions are brought in from social media sites. This gives you the measurements for traffic coming in from social networks. Spend some time to see where you’re getting the most traffic & the best quality traffic. These are the social networks you probably need to concentrate on. This lets you drill down even deeper into individual URLs. Each URL shows the social network that it got traffic from. This is where stuff gets juicy and where you can really measure your Social Media ROI. This report shows the actual monetary conversions that happened due to traffic from each social network. Great way to see if those share buttons you’ve added to your site are actually getting clicks, and which content is driving those clicks. From here, you will be able to see what articles are most shared and what social networks they are being shared to. This lets you see how your users traverse your site once they have arrived from social media. Use this to analyze if there is a page that is not converting. If people are landing from social media and bouncing out without seeing other pages, then this means that something on that page is turning them off and preventing the ROI from happening. Calls to Action to your client – what they can do to help your traffic conversions become sales conversions. This will give you a quick view into where you are getting the most website traffic from. From here, if you click on “Social”, you can see what websites are sending you the most amount of traffic. You can also see how many pages they look at, how many views are new people, how many people bounce (one page view), and how long they are on your site. This is a quick and easy way to prove the worth of your social media efforts. In order to make your life a little easier, you should use a standard social media reporting on a monthly basis like that provided from Socialdraft. Then, every quarter, do a deep dive into Google Analytics and schedule a meeting with your client so you can explain your social media ROI and efforts in depth. Explain what you are doing well, what hurdles you are running into, and how the client can help you to achieve better results. However, you can save yourself a lot of time by using a social media management tool like Socialdraft.